Every nation will have their own sworn by ‘cure’ for the dreadful morning-after – the French would have a mix of white wine, lemon juice and sparkling water, Russians swear by the juice from the jars of home-made pickled cucumbers, while further East in India aromatherapy is used to clear the sore heads and help suffering bodies. So what is the best cure for the hangover? Below we compiled our list of ‘dos’ and ‘don’ts’ for when the morning is painful. Alcohol is a strong diuretic; therefore re-hydration is a key to recovery. Have water on its own or with added lemon for vitamin C or ginger to ease the nausea. Despite it maybe getting you out of bed (and on to the next party), having more alcohol while your body is fighting off last night’s isn’t particularly self-caring and the payback will hit you tomorrow. You can run but you can’t hide! Vitamin C helps the liver break down the alcohol, so there is a science behind your cravings for a fresh orange juice. Vitamin B complex is also a good idea. The pill would normally include B1, B2, folic acid, B6 and especially effective is B12 (aka cobalamin), that helps the smooth function of the nervous system and the brain (where was it last night?). If possible, it is better to recover without painkillers, since your liver is already handling a heavy task. But if you can’t go without them and in desperate need for relief for the pounding in the head, opt for Aspirin or Ibuprofen rather than Paracetamol. Combined with alcohol, Paracetamol can interfere with liver function. 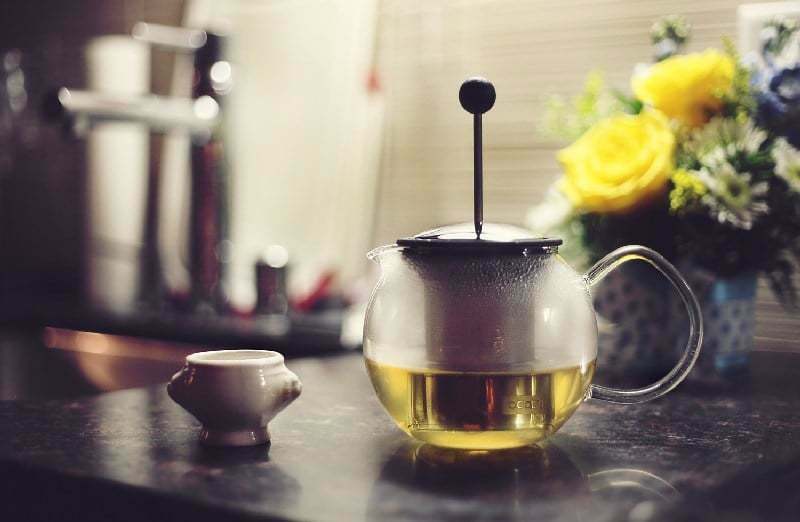 Known for its health benefits, green tea helps with the main hangover symptoms – headache and nausea, while also reducing the damage by alcohol to liver and stomach. The Royal Society of Chemistry claims that the healthy measure of fructose it contains is a great help to the body in breaking down alcohol into by-products. 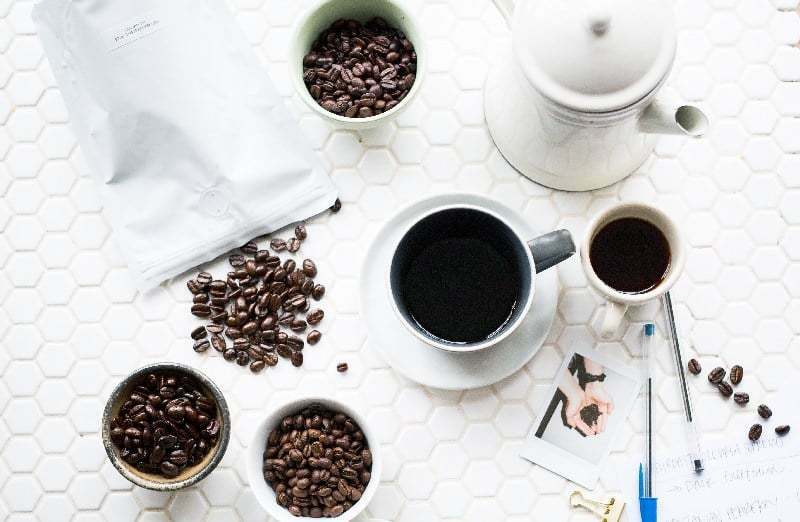 Despite the wide belief in coffee’s hangover curing properties, the only way coffee may help with a headache is if you are a regular coffee drinker and would have a caffeine withdrawal headache otherwise. Other benefits are not found – sorry, coffee lovers! Even the opposite – being a strong diuretic, coffee can make you feel worse and delay much needed re-hydration. A Cold-Hot-Cold-Hot shower can help provide an energy boost without the dehydrating effect of a coffee. It increases circulation and elimination of toxins while also physically washing off those which were expelled from the body by the skin (those hangover sweats ). While hot baths are relaxing on a normal day, excessive heat exposure can be dangerous if you are already feeling light-headed or dizzy from your hangover symptoms. The heat can cause additional stress to the heart as well, so better to steer clear whilst recovering. Alcohol won’t be absorbed as fast if your stomach is full, especially with something oily such as salmon, avocado or even a shot of olive oil. And if the drinking establishment where you’re enjoying yourself doesn’t have a healthy food counter (salted peanuts don’t count), a good portion of chips would do the job too. Kebab on the way home or fry-up the morning after? While both are widely praised hangover preventers/cures, they definitely lose out to greasing up before going out. That said, eggs in the morning can still be a good breakfast option for their amino acids content which helps liver detoxification. A new kid on the block of hangover cures, Enterosgel is a transparent oral gel which can be taken straight or mixed with water on the night of drinking or the morning after. It works by eliminating acetaldehyde (toxic metabolite of alcohol) from the body. It is most efficient the smaller the time difference between intakes of alcohol and the remedy, luckily it comes in sachet form to take with you on the night out. It also helps to reduce ethanol vapour from the breath, helpful for those untimely 9AM breakfast meetings. While being marketed as a hangover cure, the recent scientific researches, such as this one: Activated charcoal in oral ethanol absorption: lack of effect in humans returned the result of no significant difference in alcohol absorption in those observed, whether they took activated charcoal or not. During studies, the participants were made to take 60 grams (!) of super active charcoal before drinking alcohol to nearly no effect, so a handful of pills (a manageable amount to swallow) are even less likely to do the trick. Sports drinks containing electrolytes potassium, magnesium, calcium and sodium can give the needed energy boost while also replacing the salts which you lost on your numerous trips to the bathroom the night before. Fruit juices such as citrus, pineapple and apple juice are very acidic. When the lining of the stomach has already been irritated by alcohol it is better to avoid further irritation by either diluting the juices with water or opting for another beverage. If you are one of those active people that can’t stay in bed and need some activity even when fighting a hangover, a slow-paced walk, preferably in the park or another car fume-free location, will be a good choice. Any sweat-inducing activity such as running, cycling or lifting weights on the gym floor can cause further dehydration. It will also be creating extra work for your heart, which it could probably do without. Have your own hangover cure you swear by? Share in the comments below.